Below is as thorough of a review of Leptiburn as I could come up with. If you are considering buying this supplement, I am confident that this will help. 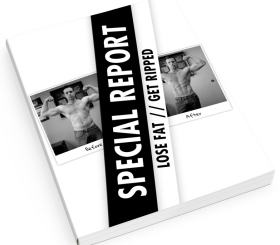 Unlike some of the other Leptiburn reviews out there, I’ll go over all of the pros and cons of this weight loss supplement. But before we really dive in I do want to make a two things very clear. Yes, I have bought Leptiburn and I think it’s a great product. No, it is not a magical supplement that’s going to make you lose weight. When it comes to supplements they are just that, supplements. Only after you are on board with eating well and getting in a little exercise should you consider buying supplements. Okay now, let’s look at Leptiburn because it really can help you lose weight faster. Leptin is said to be the most important hormone in your body when it comes to controlling fat loss. With this in mind, Josh and Joel at BioTRUST™ Nutrition created this supplement to aid in both the production of, and sensitivity to leptin. Ultimately, this supplement was created to make sure your metabolism doesn’t slow down and to give it a boost if it already has. 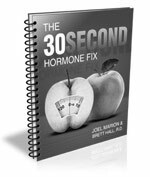 You can learn more about it on their website, but the basic idea is that you need leptin in your system so that your brain will allow your body to use fat as energy. The real problem though is that if your body can become exposed to too much leptin for too long of a period and it will no longer respond. What’s great about this supplement is that increases the amount of leptin (because your levels plummet while dieting) and makes your body sensitive (respond appropriately) at the same time. Leptiburn promises to keep your body optimized for maximum fat loss throughout the entire weight loss process. In short, Leptiburn can be used no matter where you are at in the dieting process. If you are overweight then chances are that your body has become leptin resistant. If you are dieting then chances are that your body is not producing enough leptin as is could be, therefore limiting your fat loss results. Leptiburn takes care of both scenarios. I may earn compensation for my review of this BioTrust product. It works for many people, but not for all. As mentioned earlier, Leptiburn is not a magic weight loss pill. If you do not need it and you take it, it’s not really going to do much. If you do not need a leptin supplement then this is not for you. I personally do not have any real negative reviews to give. So what did I do? I looked for some. After doing some digging (Google’ing) I found that some experienced a delay in getting their product. It is supposed to ship within 3-6 days but I read of a few instances where it took longer. At first I chalked this up to them being swamped with orders (which they are). Eventually I found the real problem. They are based out of the United States so if you are out of country the shipments must past customs first. I’ve read a number of times that they are doing everything in their power to make this faster. But for now, if you are not in the U.S. then you should probably expect some delays. On the other hand, I bought my first order on a Thursday and they shipped out on Saturday, so can’t complain. When I was going through the order process I noticed that you can choose your own shipping option. I stuck with standard, but they do provide other options as you can see. Note: these prices are based on the 3 bottle option and being shipped to Oregon. I’m not sure how the pricing and shipping will change depending on your location and quantity. The prescribed dosage is 2 veggie capsules, twice per day. With 120 total capsules (60 servings) there is a one month supply per bottle. Now, it’s a little hard for me to believe that absolutely no one ever has experienced some kind of side effect. So what if you are an (un)lucky one who experiences some sort of side effect and you can’t take it anymore? You’re covered. BioTRUST has a 1 year money back guarantee that you will be 100% satisfied with their supplements. As far as a quality supplement goes though, you really can’t beat them. Basically, this is their way of letting us know that they meet and exceed the necessary standards to create their supplements. Testimonials are an important factor for me in determining whether or not a product is worth trying. What I thought was impressive was that in addition to getting good consumer reviews, they are also getting good reviews from some of the industries leaders … the real skeptics who actually have seen it all. I opted for the 3 bottle option. Either way though, if you are not satisfied they promise a money back guarantee, so you’re good. There are not an constant BioTRUST discounts or coupons that run. If you opt into their list by signing up to get this free ebook, then they will email you whenever they do go on sale. I wouldn’t count on seeing too many sales though. So can you get Leptiburn on Amazon? Nope. The only place that you can buy Leptiburn is through the BioTRUST website. Not from an ebay store, GNC or anywhere else. All-in-all, I have to say that this is certainly a quality supplement. If you need a leptin supplement then this is definitely the one that I recommend. NOTE: Before taking BioTRUST LeptiBurn it is a good idea that you consult with your physician first. I am not a doctor.